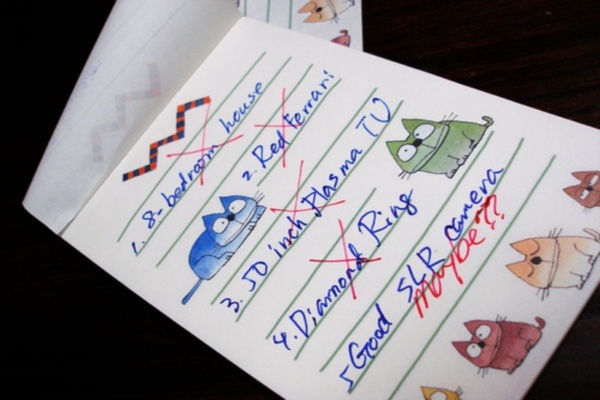 People are obsessed with making lists. To-do lists, grocery lists, life lists, chore lists, Bucket Lists and more. What is our fascination with organization? 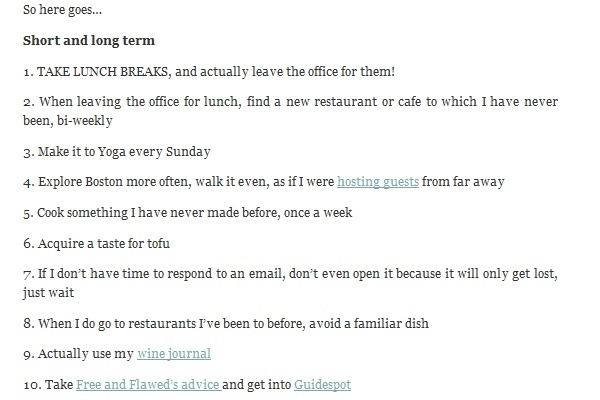 There’s something irresistibly satisfying about checking off an item on our to-do list. It’s the feeling of productivity, accomplishment and the knowledge you’ve freed up an afternoon to do something fun, like watch soaps in your pajamas…or get more work done. Leigh: I came to the realization that I need to update my to-do list and separate it into four lists for each of my main projects. 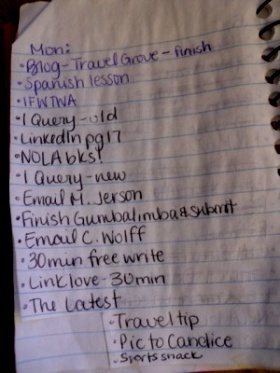 If someone would pay me to update my own to-do list, I could make a full time job out of it. 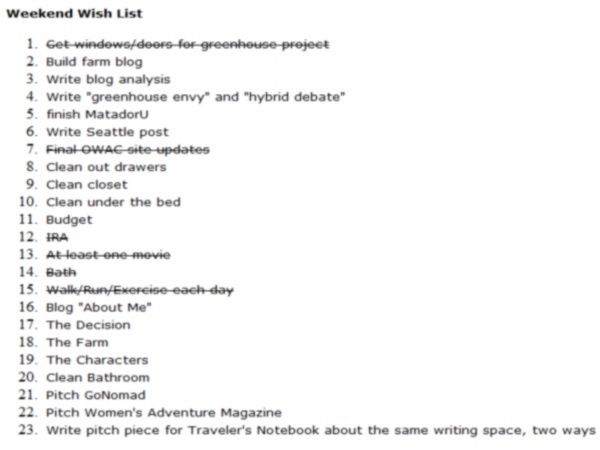 Candice: I’m the same way, lists written everywhere. My friend once told me I should write a list of reasons why I like making lists. While browsing through a bookstore the other day, I came across a book titled Listography. The whole idea is actually based on the website, where people can sign up for “life in lists.” There’s everything from “people who have changed my life” to “websites with the best animals.” My only question is how did I not find this site earlier? Then there’s the curious question of what our lists say about us. What do we place at the top? Why do we prefer handwritten vs digital, or vice versa? Perhaps the following will enlighten. 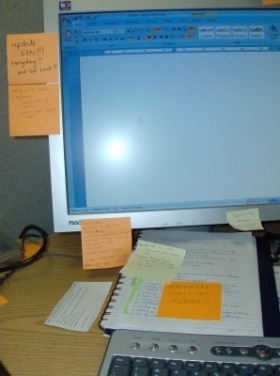 Some websites even like to capitalize on our OCD behavior by offering spreadsheets and organizational tools for download, such as Productive Flourishing and Four Hour Work Week. These websites encourage being aware of your goals, setting the bar high, and getting stuff done. Productive Flourishing even offers “momentum coaching,” a process meant to generate new ideas and develop brainstorming methods. What does all this say about list-makers? We’re brilliant, obviously. Sometimes we just need a push.